The San Telmo Museum, inaugurated in 1902, is the oldest in the Basque Country; today it is reintroducing itself and its new objectives. Working from the basis of its funds, almost totally related to Basque society, San Telmo has been renovated to become a Museum of Basque Society and Citizenship. MUSEO DE SAN TELMO Y PLAZA ZULOAGA» por Gonzalomauleon – Trabajo propio. Disponible bajo la licencia CC BY-SA 3.0 es vía Wikimedia Commons. The object of reflection that San Telmo presents is the cultural and historical past as a seed for today’s society, from a multidisciplinary view, open to modern dialogue and debate. San Telmo is presented as a museum and, at the same time, a place to both disseminate knowledge and create thought whilst aiming to be an instrument to understand the present and build the future from knowledge of the past. The Museum currently has more than 26,000 pieces inventoried in different categories: Ethnography, Fine Art, Photography, Archaeology and History. 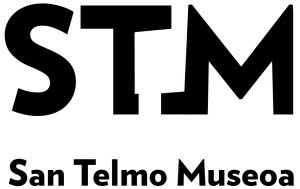 Notably, the San Telmo Museum is the only museum of its kind dedicated to Basque society from the perspective of a social museum, and at the same time, it is the only museum in city that has an area of Fine Arts. Located in the church of the San Telmo Museum, visitors may find a display of the challenges facing current society. The presentation of these topics, through audiovisuals and the use of latest technologies, aims to emphasise each individual’s capacity to intervene in the world around them and thereby participate in building their future. By means of an interactive table, debate and reflection are promoted on contemporary issues such as peace and human rights, sustainable development, increasing interculturality, the role of Europe in the World or equality. How do we understand Europe? What type of Europe do we want to help to build from Euskadi? What role is played by the States, the nations, the regions in a process that should be ruled by solidarity?